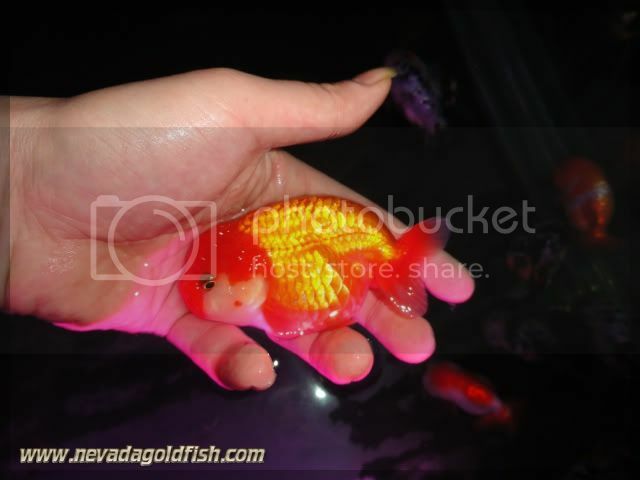 This is Red Ranchu with smooth back curve and little small tail. Her face is so cute, isn't she? She is always looking for crowd of goldfish in pond. 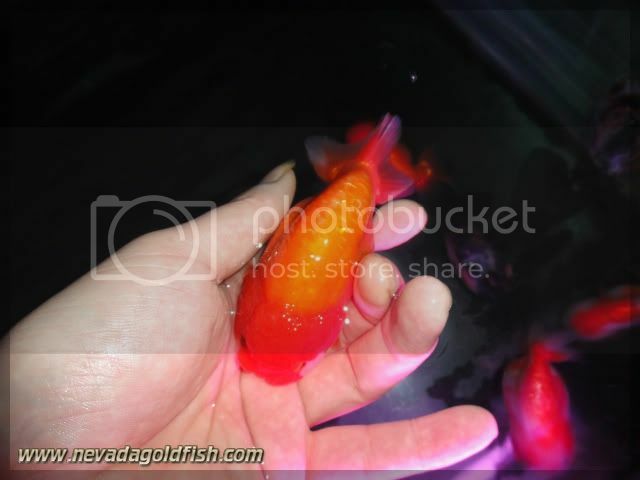 So I think she is prefer to live in goldfish pond, because she will live with many of her friends then. If you keep her in a pond, she also will raise quickly.